When you live on the edge of panic, it's hard to get a grip on anything but feeling lost. However, armed with the proper tools, identifying the source of your anxiety and knowing how to overcome it doesn't have to be overwhelming. 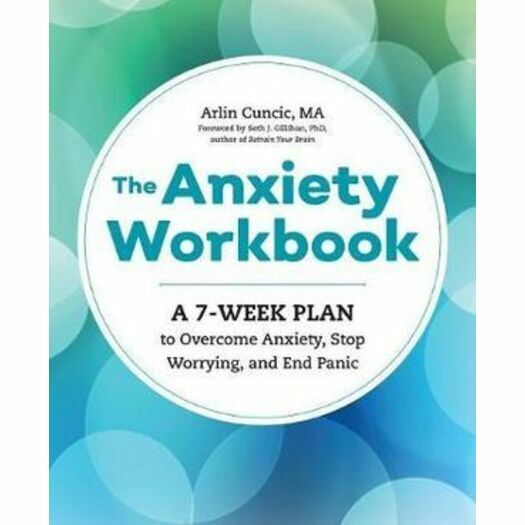 Dedicating her career in Cognitive Behavioral Therapy (CBT) to treating anxiety disorders, Arlin Cuncic, MA lays out a simple step-by-step 7-week program to take control of your anxiety. Learning to Let Go: An Anxiety Workbook equips you with strategies and exercises to combat anxiety, stress, depression, panic, and worry and turn your flight instinct into a fighting one. "There are so many books out there that claim to help you understand and manage your anxiety. What makes this one different? It is accessible and straightforward, and offers motivation to complete the work of healing..."-Tatiana Zdyb Ph.D., M.A., C. Psych. Take a proactive path to being less anxious and more confident with Learning to Let Go: An Anxiety Workbook.